Katie Manning began creating poems at age four because she loved to play with the sounds of language. She is now the author of three poetry chapbooks, all published in 2013: The Gospel of the Bleeding Woman (Point Loma Press), I Awake in My Womb (Yellow Flag Press), and Tea with Ezra (Boneset Books). She lives in the Los Angeles area with her husband and son, and she is an Assistant Professor of English at Azusa Pacific University. What are Katie’s published works? 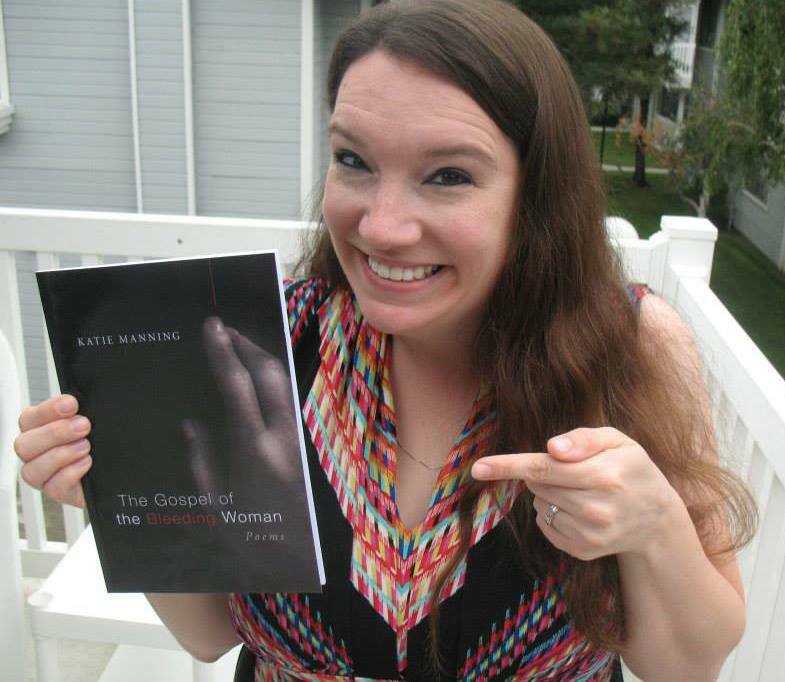 The Gospel of the Bleeding Woman imagines a life for an interesting, unnamed biblical character. In these poems, the bleeding woman has a name and gets to tell her own story. I Awake in My Womb is a collection of bizarre poems that are based directly on dreams that Katie Manning had immediately before, during, and after pregnancy. Through the shifting images of dream states, these poems explore the fears and joys of impending motherhood. So proud of you Katie!! !